Minnesota is one of the "happiest" states in the entire country. No, I'm not just saying that because I'm biased and because I particularly like Minnesota; according to the website WalletHub, Minnesota ranks as the #2 happiest state in the U.S. The website used many factors when considering the happiest states, such as physical health, emotional well-being, recreational activities, job security, weather and many more variables contributed to these rankings. Our "Land of 10,000 Lakes" was edged out by Utah, which scored the highest in the county in both recreational activities and work environment. Plus, it's hard to compete with that landscape; who gets tired of looking onto a mountain range every day? Notice money wasn't as much of a factor in the study as say, job security or a positive work environment. While money can help make someone happy, this "study "wanted to get to some core ideals of happiness like the factors listed above. 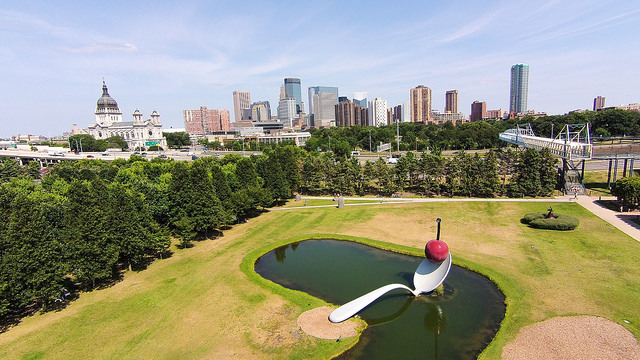 Minnesota always seems to score high on these type of rankings; the state has scored well with some of the Money Magazine best cities to call home, it has scored high on the Forbes business rankings of states, this "happiness" study and so much more. Seriously, do an Internet search and you will find Minnesota consistently in the top tier of state rankings for a variety of topics. To say the least, Minnesota is a great place to call home. Now the question I'm sure many of you are asking: where does Wisconsin rank? They are all the way down at #18. It feels good to finally beat Wisconsin at something.